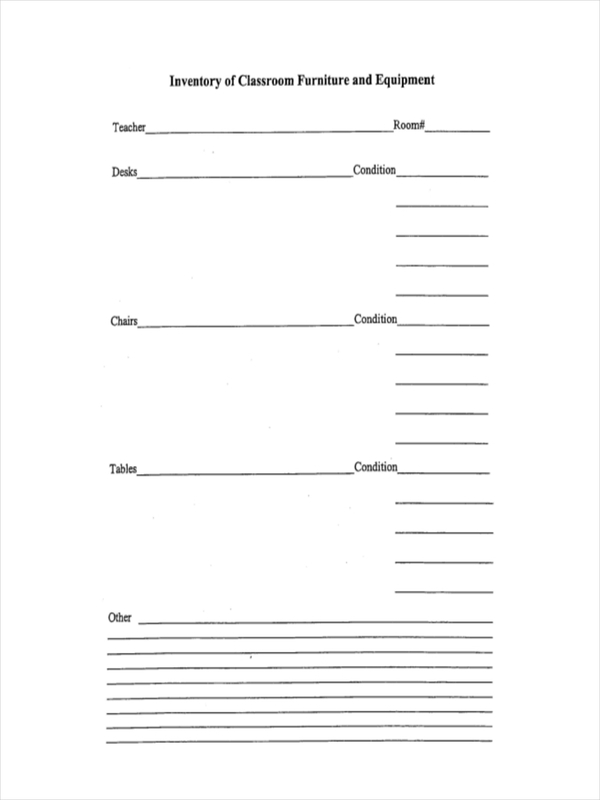 Inventory is a general term given to the document which lists tangible items (e.g. goods, materials, merchandise, things in stock, etc) and intangible items (e.g. qualities, attributes, attitude, etc). 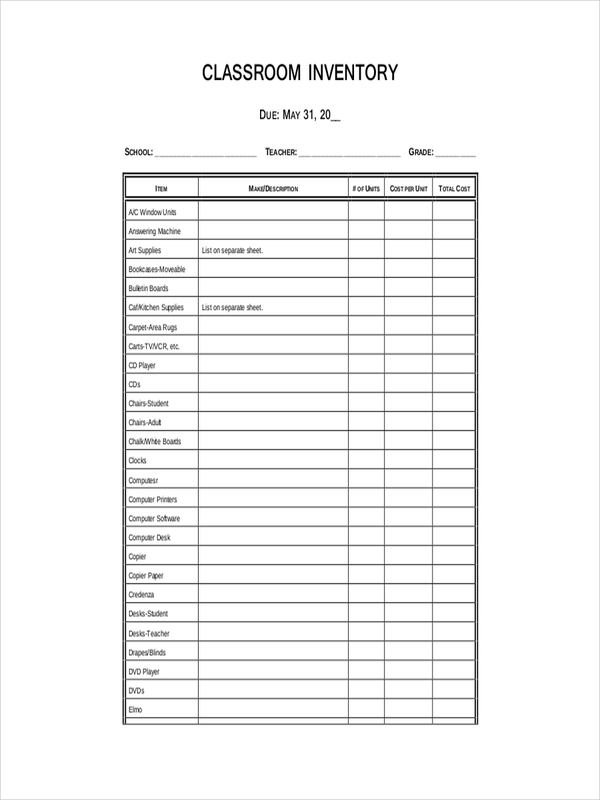 In business, a sample inventory is a document listing the items for a certain project or work including raw materials, equipment, goods in stock, work processes, finished products, etc. An inventory is also used to keep track of business processes, merchandise, products, stocks, assets, among others. Typically, an inventory can also be helpful in monitoring the flow of incoming and outgoing goods in a company. Aside from its uses in the business world, inventories are also considered useful in other industries, such as in education. 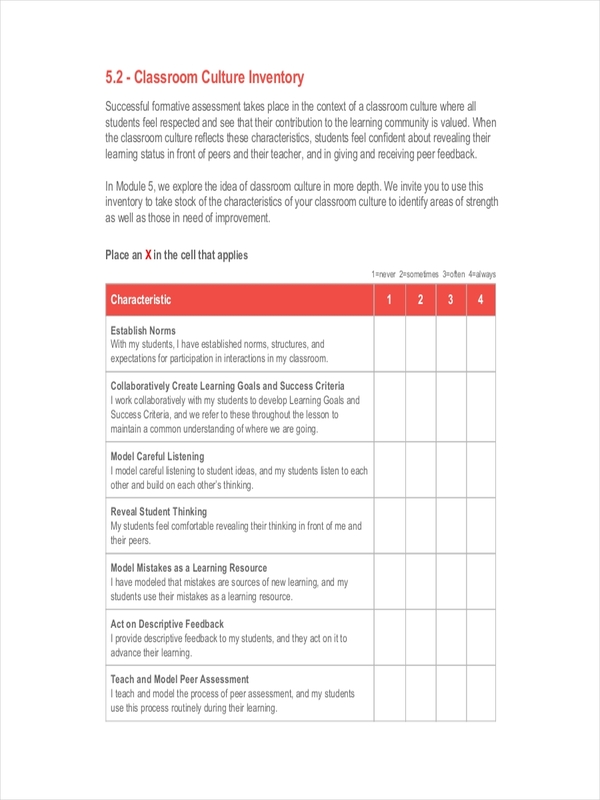 What Is a Classroom Inventory? In education, an inventory can be used to monitor classrooms, books, equipment, materials, and other items used in schools. A classroom inventory, as the name suggests, can be either the inventory of things found in a classroom, or a school inventory of the number of classrooms in a school. 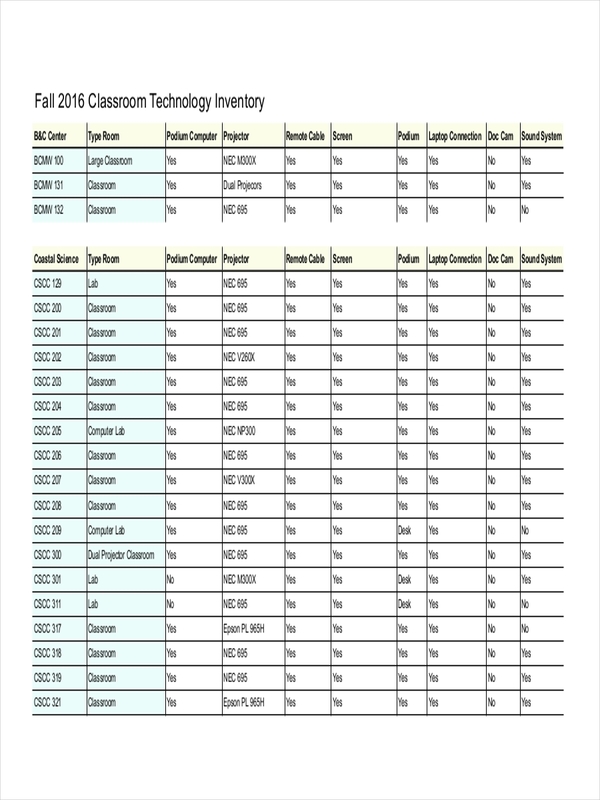 For example, a classroom equipment inventory lists the availability of an equipment (e.g. computer units, chairs, desks, tables, etc) in a classroom. Or a registrar staff may use an inventory to check the number of available classrooms to identify the number of students for admission, or to know the amount of students to be assigned per classroom (or the number of students a classroom can contain). 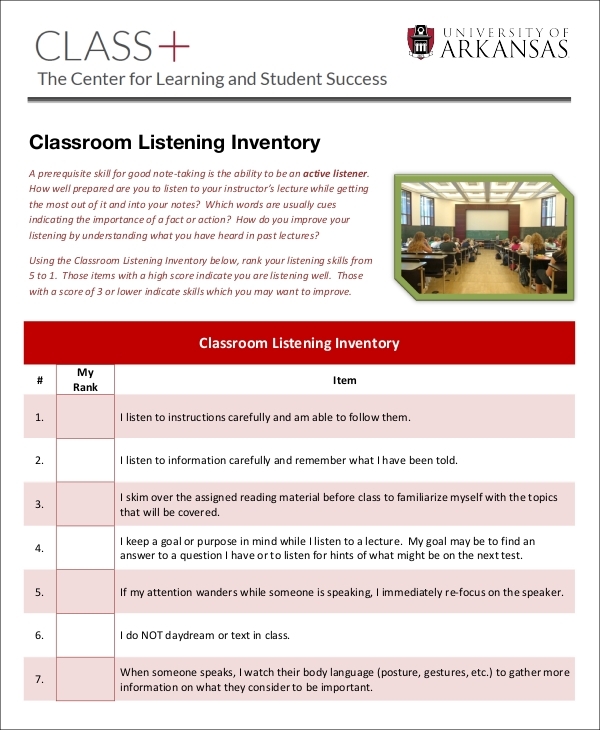 Classroom inventory, like other types of inventory examples, is used to track or monitor things found in schools or inside classrooms. 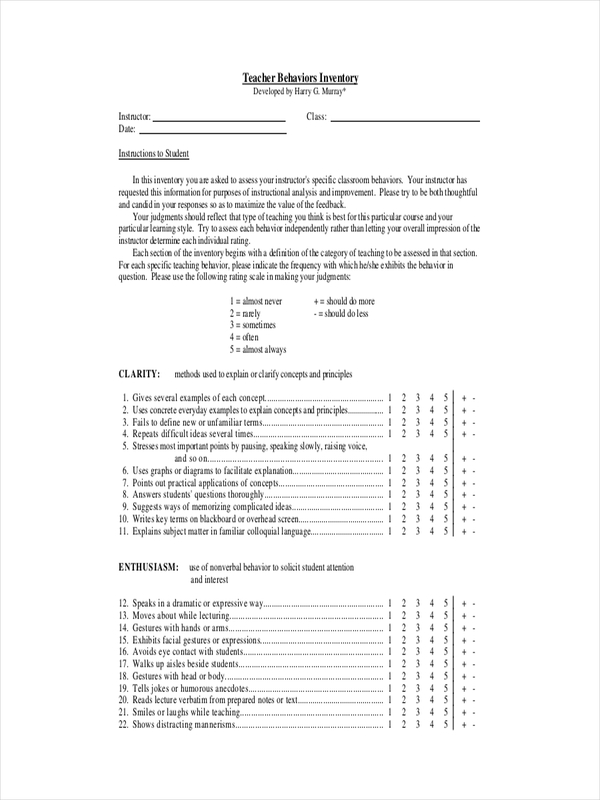 A teacher or school staff might need a classroom inventory from time to time, especially when new materials or equipment are installed inside the classroom. A classroom skills inventory, aside from tracking the equipment present inside a classroom, can also monitor the intangible things, such as student or teacher behavior. Classroom behavior inventories help a teacher track each student’s behavior inside the classroom in order to make necessary measures if he/she find areas for improvement. As much as they are useful, classroom inventories can be quite a hassle, especially when you’re a teacher with a handful of students, or a registrar staff with a hectic schedule. Know the purpose of making a classroom inventory. You may write it in your inventory, for clarifications. Know the items to be listed and checked, including their amount (for tangible items). For intangible ones, know what you need to monitor (e.g. behavior, culture). Write all the items in a table in order to keep your list organized. It would be easier to read the names of items if your inventory is clear and organized. You may also include instructions in your inventory, for guidance of the conducting staff (or yourself). Keep your inventory clear and organized. Do not overcrowd it with too many words or symbols. Recheck the items listed. See if you made errors, like spelling and typographical errors, or if you forgot to include something in the list. Have someone check your free inventory and ask for their opinion for additional items to include.